Freeman Surgical Center is a multi specialty ambulatory surgery center in Joplin, Missouri that was developed to provide quality, patient-focused outpatient care to the four state area. Our 17,500 square-foot center features four fully-equipped operating rooms, one swing room, and one procedure room with the latest medical instrumentation. We are equipped for general surgery, gynecological surgery, hand & microvascular surgery, neurosurgery, orthopedic surgery, otolaryngology, pain management, gastroenterology and urology. Patients benefit from our state-of-the-art technology, as well as amenities like convenient parking, short waiting times, and a comfortable environment. Our recovery area assures your privacy and provides an opportunity for your family to join you shortly after your procedure. Freeman Surgical Center offers patients a safe and comfortable environment to receive surgical care. The physicians and our highly qualified nursing and technical staff strive to exceed your expectations and provide a positive surgical experience. Surgery is performed by your own physician at our facility, assuring you the same quality of care to which you are accustomed. Simplified admitting and discharge procedures provide added convenience for the patient. 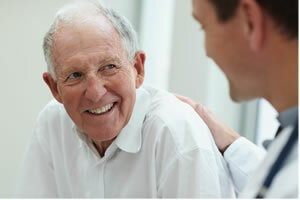 The patient's loved ones can benefit from our facility's relaxing, informal setting. Realizing that each case is unique, we provide close, personal attention at all times. Recover process will start in our facility and averages 30 minutes to one hour depending on your procedure. Your recovery process will continue in the comfort of your own home.